one sentence pretty much explains it all. 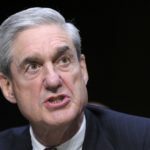 When Barr first announced that Mueller hadn’t been able to determine whether Trump should be criminally charged, Palmer Report’s best guess was that Mueller actually made an overwhelming factual case for Trump’s guilt, and then essentially said “Here it is, now you decide” – in the same way that a courtroom prosecutor ultimately tells a jury that it has to decide guilt. Barr then twisted that by trying to bury Mueller’s entire case, and simply painting Mueller as having been too wishy-washy or bereft of evidence to make a decision. It turns out we were pretty much right. In the middle of a very long and somewhat unrelated article the Daily Beast casually dropped this sentence: “A source with direct knowledge of the investigation told The Daily Beast that it was their interpretation that “Mueller was making a case to Congress, who (unlike DOJ, in Mueller’s view) is empowered to weigh the lawfulness of a president’s conduct.” Okay, so someone on the inside thinks it went down more or less like we did. But wait a minute here. If this is the case, then Robert Mueller must have been expecting one of two things. Either he mistakenly thought William Barr would do the right thing and give the entire report to Congress and the public, or Mueller put a gameplan in place to ensure that his entire report would become public no matter what Barr did. Based on Mueller’s track record of aggression and thoroughness, we’re inclined to lean toward the latter – and we’ll find out soon enough. Either way, this helps explain everything that just went down between Mueller and Barr.